Currently this item is using the previously unused ingot icon for Kyparite which was unnecessary since Kyparite can't be smelted. This might indicate some connection to Kyparite, or the icon might just be a placeholder. So basically I have no idea why they picked this icon except for the fact that it was an existing unused icon. It strikes me as kind of lazy considering that all they really needed to do was add lightning to an illustration of a bar of steel. 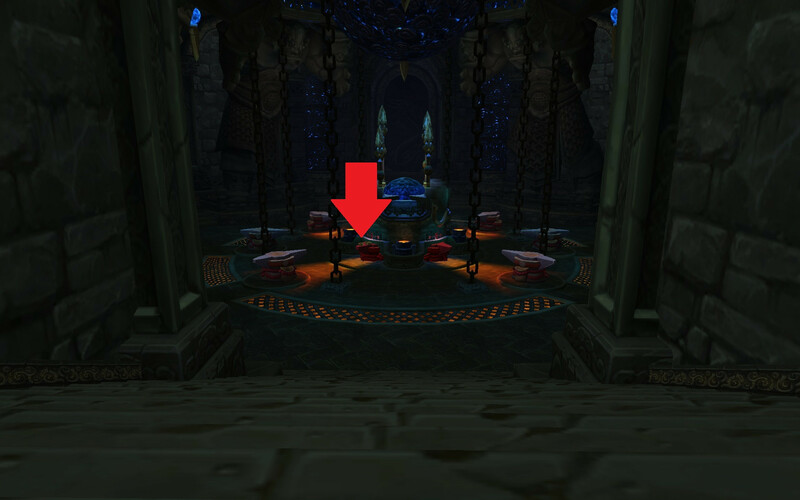 This item will probably be used on the new Lighting Forge in the Isle of the Thunder King. It'll be used by Blacksmiths to craft end-game armor and items that aren't obtainable anymore, such as Vanilla items, for transmogging. 번개 강철 주괴 is created via a once a day CD of combing 10x 유령무쇠 주괴. This also provides a chance at discovering one of the below recipes. Currently, this is only used to create the reborn Blacksmithing weapons in 5.2 (formerly from Burning Crusade era Weaponsmithing specialization which is not available to new players). Note that all of the crafted items share the same names as their older counterparts but have new itemids, UPDATE: We have itemlinks for the 1st tier of items (those requiring 5x 번개 강철 주괴), currently they are ilvl 463 rare items, they are Bind on Equip, also they are not recolored from their burning crusade versions as of this time, will provide further updates when the rest of the items are in (the main page also has an excellent write up of what is known so far). 번개 강철 주괴 can only be produced once per day, they are also BoP, so it will take you an even 30 days to get each top tier item (my condolences to dual wielders). Currently, creating one ingot requires 10x 유령무쇠 주괴 and the tooltip states 'In the process, you may gain additional knowledge of Ghost Iron, and discover a Blacksmithing plan you have yet to learn.' my guess is that this will be the way we discover these recipes. UPDATE: 번개 강철에 대한 문서 is the item that you must acquire in order to learn how to make your 번개 강철 주괴, therefore beginning your LONG process towards getting your awesome weapon! The notes themselves seem to be acquired from a quest, 번개 강철, the quest will be obtained by killing 이토카 (Thanks @Dendraki), he will drop a 이상한 금속 주괴, right-clicking on this item will allow you to start the quest if things stay as they are, also when you finish the quest the first time, you get one free 번개 강철 주괴. Ive provided itemlinks to the classic versions of the items that can be crafted, grouped by the materials required to craft their newer versions, some of the items also require their lesser versions as a reagent, i have marked those along with itemlinks to both the older and newer versions. UPDATE: 선임기술자 자르드의 일지 is not for this item, it teaches Engineers how to make a 자르드의 기묘한 에너지원 instead, which can be used for quite a few interesting items, including a 하늘 골렘 and 피에르, we don't have info as to whether or not the engineering items will require Lightning Steel Ingots for their creation yet, but personally, it seems doubtful to me. Does any1 know if the Ingots require mining 2 be crafted? I can confirm the daily cooldown on crafting this item, however on PTR it seems to share that daily cooldown with making a 자르드의 기묘한 에너지원. Are we also going to learn the new PVP patterns from this? If so it seems our chances to learn them are small compared to other professions who are not learning all the old stuff. Not that I don't want to learn the old stuff but I want the new stuff first. After completion of this quest 번개 강철, you will be able to make 번개 강철 주괴, you need 유령무쇠 주괴 x10 for this; see 번개 강철 주괴. For more information on all the new items you can build in 5.2, see Wowheads post here. Why anyone doesn't mention that the first recipies come within Notes on Lightning Steel for free? if you make it you get new BS plans but does any1 know what plans you can get so far only blue PVP gear for me. Each weapon has 3 stages: Rare - 463, then u can upgrade it to Epic - 476 and final to Epic - 502. In case someone did not post this before, you don't need to stay in the actual lightning forge to make this item. Any anvil works. 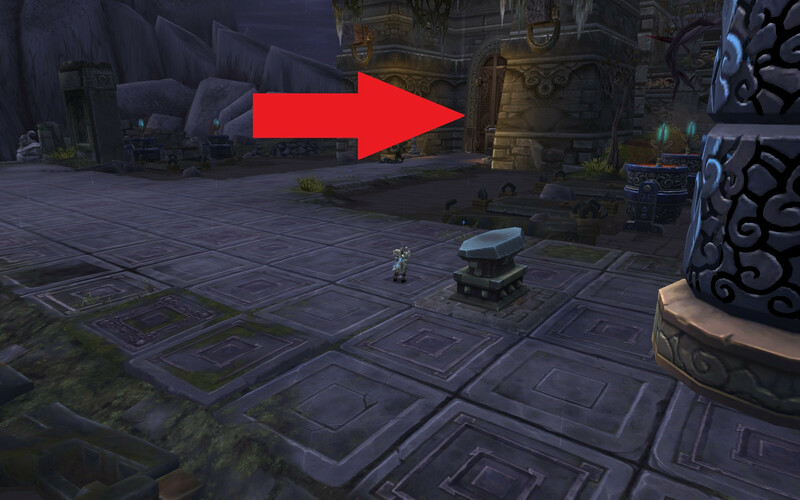 However, making the remake of TBC weapons requires thunder forge, even though tooltip does not indicate that. I was wondering whether these weapons have upgraded versions at all. After gathering all the mats for The Planar Edge, Reborn because I wanted a tanking weapon, I had to go to the Thunderforges to craft it. For crafting it I was taught the plans for Black Planar Edge, Reborn. Both weapons are BOE, they will sell on AH or will be useful for an alt or a guildie. Item levels are just the way wowhead.com says they are. That's a lot of work to make LFR level items, with boring standard itemization (unlike their originals), and no crit on anything. How disappointing. I think I will save my Ingots with the hope that in the future there will actually be something useful to make as a Blacksmith. The cooldown on this item does not reset after so many hours. It resets at midnight server time (PST) every day. WHY if these bars are similar to titan steel and other special metal bars is someone with mining cant create the bars? seems a bit strange to me. still could put the cd on it. anyone know why? So it's 5.3, I've never killed Itoka and I noticed all these recipes are in my Blacksmithing window after I hit 600. When creating this Ingot, do you always learn a new blacksmithing plan or is it a % Chance? I only ask because I have made 40 total on my Warrior and the first 39 gave my smithing plans but when I made one today it did not. Am I just out of plans to learn? There are 38 recipes to be discovered while crafting Lightning Steel Ingots. What is the advantage to a blacksmith? The items are bind on equip. A blacksmith can use the lower levels weapons while he/she is gathering the ingots for the next weapon level and still upgrade to the next level. A non black smith requesting the item from a blacksmith has to wait the full 30 days for the final weapon to be made. so sad this is! I also would of like to see polearm revamp ! like 600ilvl polearm with 1.2 speed very fast with 10k dps on hit maybe a 20k with shadow damage or fire something like that ! just downright nasty ! and useable by every class ! so u can put it on AH block for kool gold like make 200g low 2300 high per item ! Still some worth in crafting these bars if you can make 522 equipment, will help boost alts ilvls to get into LFRs - May not be worth their weight as they once were. Unfortunately in 5.4 there is virtually no point in making these anymore. 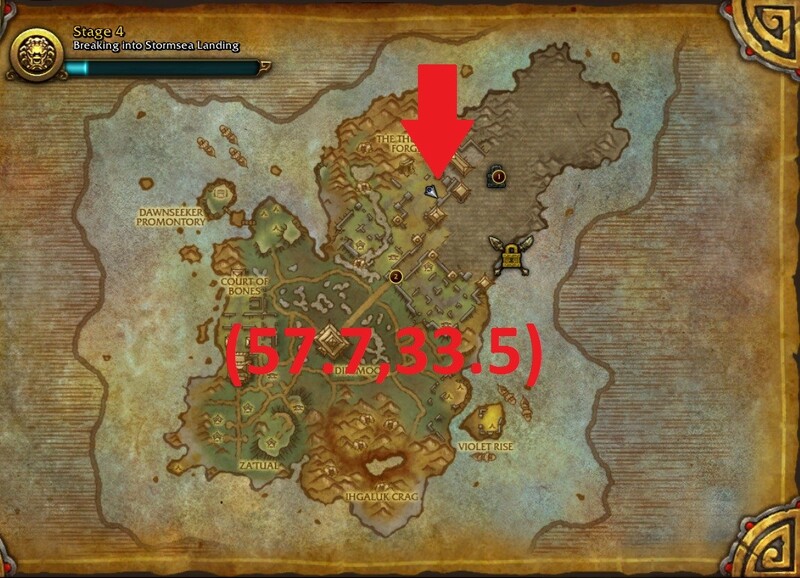 Does any one know if this is still available in WoD ? The recipe to create these is learned from 도면: 번개 강철 주괴 which is a quest reward from 번개 강철, which is started from 이상한 금속 주괴, a 100% drop for Blacksmiths from 이토카, an easy mini-boss mob on the 천둥의 섬. The quest also gives a bonus 번개 강철 주괴 on completion. If you drop Blacksmithing and relearn it, you will simply have to kill Itoka again and you can loot the recipe directly from him. The recipe creates 1 번개 강철 주괴 at the cost of 10 유령무쇠 주괴 and can only be crafted once per day at any Anvil. You will always learn one of the Haunted Steel / Crafted Dreadful recipes each time you craft an Ingot until you have learned them all, meaning you will need a total of 38 days and 380 유령무쇠 주괴 to learn all the recipes. 번개 강철 주괴 is used exclusively for crafting 6 BoE (3 one-hand and 3 2-hand) "Reborn" weapons which are identical skins to previously removed Burning Crusade Weaponsmithing weapons, with each craft having an ilvl 463 116 blue version which can then be upgraded to epic 476 116 ilvl and a further upgrade to 502 118 ilvl, each costing more mats and each having a slightly different appearance. Each upgraded version is learned from crafting the previous weapon the first time and requires the previous weapon to be consumed on craft. Make sure to equip the weapon before crafting the next stage if you want to learn the transmog as it is BoE by default. You can also make these ingots in Highmountain at the Ironhorn Enclave on the Firmament Stone. "대장장이가 강력한 물품을 만들 때 사용합니다."